The GMC Terrain is better looking than the Chevy Equinox, but can get more expensive with a heavy hand. The 2017 GMC Terrain is a square-jawed compact crossover SUV that can haul when equipped with the available V-6. 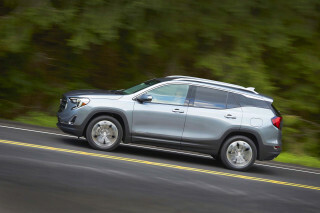 The GMC Terrain is half of General Motors' answer to booming sales of compact crossover SUVs such as the Honda CR-V or Toyota RAV4. The other half? 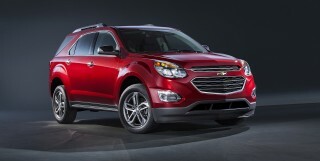 That's the mechanically identical Chevy Equinox. The 2017 GMC Terrain is the boxy, bold, and brash part of the equation and one of just two front-drive-based models in GMC's lineup. The creased features and sharp lines read to us like a continuation of where the Hummer brand left off—it's up to you to decide if that's a good thing. For 2017, GMC went more "macho-er" with the Terrain: a Nightfall edition adds a blacked-out grille, black wheels, black front and rear fascia and black paint to boast to your "Halo"-playing pals that you've got the meanest compact crossover in the market. With the understanding that, yes, you need to go pick up the kids from school now. The interior boasts contemporary styling in contrast to the macho-look sheet metal. A shield-shaped set of controls is framed in low-gloss metallic trim, all capped by a hood over the 7.0-inch touchscreen that runs the standard infotainment system. The center stack design has been mildly revised, and GMC has changed some of the button graphics. It's all tastefully in tune with the rest of the GMC lineup, especially the Acadia—and especially as a Terrain Denali, where it wears a wood-grained steering wheel, a stitched dash pad, and leather. The Terrain is just a five-seater, but it's a fairly big one. Because it lacks a third-row seat, the Terrain might strike some family shoppers as less useful, but we've found it to be quite comfortable, even for four adults. GM has carved out good space inside a tidy package, and fitted the Terrain with very comfortable front bucket seats and a rear bench with adequate support. The rear seat can slide fore and aft over an 8-inch span so passengers or cargo can get higher priority, and the seatbacks fold to boost storage up to 31.6 cubic feet. However, the Terrain's cargo floor is high for its class, and the seats don't fold completely flat. All versions have a big, deep glove box, a new shelf on the center stack set below the controls, and an armrest storage bin deep enough to hold a small laptop. 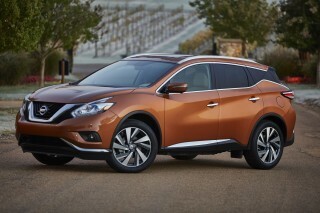 A fuel-efficient inline-4 and a throaty V-6 are available in the Terrain, both with optional all-wheel drive. Both engines are combined with a slick shifting 6-speed automatic. The inline-4 is a GM workhorse that's learned a few new tricks. The 2.4-liter has direct injection and produces 180 horsepower, which is good enough to run the Terrain up to 60 mph in around nine seconds. That's not quick, and we don't recommend it for anyone looking to tow. The inline-4 is good for front-drive customers looking to use their Terrains as long-distance cruisers or urban runabouts. There is a sport button, but it has questionable results. 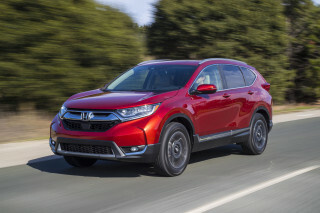 Similarly, don't engage "Eco" mode unless you're looking for the torque converter to lock up sooner and shifts to come later, which slips a mickey into the Terrain's responses. Left to its own devices, the 6-speed makes the best with what little available low-end torque there is and performs ably enough. The 301 hp, 3.6-liter V-6 arrived four years ago and it's the same mill found in the much larger Acadia. In the smaller, lighter Terrain, the V-6 lights into its tires with a muscular burble and dropkicks the compact crossover to 60 mph in around six seconds. That kind of performance is up there with the BMW X3, but it comes at a cost. Gas mileage in the V-6 isn't great, and its shift responses aren't all that slick. The transmission's languid shifts could be a consequence of the early lockup converter, or a relatively simple all-wheel-drive system, we suspect. The V-6 is rated to tow up to 3,500 pounds. The independent IIHS gave the Terrain "Good" scores in all of its completed tests, including the small-overlap crash test. The top scores, plus "Basic" front crash prevention earned the Terrain a Top Safety Pick award for 2016, but the lack of a headlight rating in 2017 kept it from the same honor. Federal safety authorities gave the Terrain a four-star overall rating, which included four stars in frontal impact protection and five stars for side-impact protection. 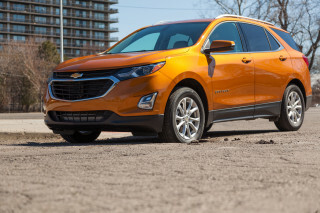 In addition to solid scores, the Terrain sports some of the latest safety technology including blind-spot monitors with cross-traffic alerts, lane-departure warning, and forward-collision warnings. All Terrains come with standard climate control; AM/FM/CD/satellite sound with a USB port for media players; keyless entry; a power driver seat; and ambient lighting. Also standard is a touchscreen-driven audio system. It can be optioned with IntelliLink, which connects smartphones to the car's audio system, enabling Bluetooth voice control and streaming music from sources like Pandora. Other options include remote start; a rear-seat DVD entertainment system; and navigation with hard-drive map and music storage. The most frugal Terrain, a front-drive 2.4-liter inline-4, manages 22 mpg city, 32 highway, 26 combined, according to the EPA. Adding all-wheel drive (AWD) doesn't carry much of a significant penalty either: the EPA rates the 2.4-liter and AWD at 20/29/23 mpg. GMC's optional V-6 is rated at 17/24/20 mpg, or 16/23/18 mpg with AWD, which is within spitting distance to the much larger, seven-seat Acadia. The 2017 GMC Terrain carries forward with the macho-ization of the automaker. The GMC march toward crisper, sharper (we think more macho) trucks continues with the 2017 GMC Terrain. The headline here this year is the Nightfall edition, with its blacked out grille, black wheels, black front and rear fascia, and black everything else. It's not entirely slimming in our eyes. It still looks modern, with a square-edged military style that bowed last year. We maintain it's carried on with the Hummer look long after that brand shuttered—it's up to you whether that's good. The C-shaped headlights front a power-domed hood that may or may not cover a bigger engine (the domed hood is still there on inline-4-equipped models) and upper trims get LED running lights in the front bumper. The exterior of the GMC Terrain is further separated from the Chevy Equinox, with which it is closely related, by the blocky designs. On the inside, the Terrain defaults to corporate memes—and that's OK. The center stack was changed slightly last year and remains the same—complete with useful phone cubby—and a new shifter design is trimmed with chrome. The Denali's treatment is unique: the grille is mesh; the metallic trim is satin in texture. The cabin wears a soft pad on the dash, stitched with thread, and the steering wheel has a section of dark wood grain implanted across its top arc. Denali badges and a unique color palette are the only other details that separate it from the rank and file. The V-6 has grunt if you need it, otherwise the 4-cylinder Terrain is just fine. One year removed from a face-lift, the 2017 GMC Terrain still makes do with the same powertrain and mechanicals—those haven't changed in a while. The 301 hp, 3.6-liter V-6 arrived four years ago and it's the same mill found in the much larger Acadia. In the smaller, lighter Terrain, the V-6 lights into its tires with a muscular burble and dropkicks the compact crossover to 60 mph in around 6 seconds. That kind of performance is up there with the BMW X3, but it comes at a cost. Gas mileage in the V-6 isn't great, and its shift responses aren't all that slick. The transmission's languid shifts could be a consequence of the early lockup converter, or a relatively simple all-wheel-drive system, we suspect. The V-6 is rated to tow up to 3,500 pounds. Last year, the two engines had completely different steering systems. The 4-cylinder models had a new electric power steering system that helps save fuel, while V-6 models had a tried-and-true hydraulic one. We tend to like the hydraulic setup a little bit more, but the electric system is one of the better units, with a nice, settled feel at speed. The GMC Terrain's sliding second row is one of our favorite features, and it's still very versatile. Despite its relative position as a compact crossover in the luxobarge GMC SUV and truck lineup, the Terrain is very spacious. The plus-sized interior has wide seats with mild bolsters, and about 6 inches of head room for tall drivers. The center console is wide and the Terrain doesn't stiff its passengers on knee room or leg room either. The rear seats (there's no third row) slide fore and aft about 8 inches, which flexes room for either cargo or passenger. Sliding forward can create nearly 32 cubic feet of cargo space or if the second row is folded completely away, 64 cubic feet. If the load floor were a little lower, and the fold-down seats completely flat, we'd call it a complete victory. There is plenty of interior storage in the Terrain. An oversized glove box, laptop-sized center armrest storage bin and cubbies in the door are useful for families. Last year, GMC added a shelf below the center-stack controls for even more space. The basic cloth interior is nicer than previous years and the Terrain's leather is supple and accommodating. We've noted in the past that some trim pieces have been a little disappointing: they have felt a little hollow, too hard or plasticky to us. We haven't yet driven a 2017 model to see if those issues have been resolved, so we'll update this page if anything has changed. Four-cylinder models get their own nifty touches. There's a special active noise cancellation system that works through both the built-in audio system and a few dedicated speakers. It lets the engine run at its most efficient rev range, while blocking what engineers call a "booming" resonance in the cabin. The Equinox has performed well, but not great, in crash tests. The 2017 GMC Terrain has mixed scores from independent and federal testers.. The independent IIHS gave the Terrain "Good" scores in all of its completed tests, including the small-overlap crash test. Its headlights weren't rated by the agency and it's likely that they won't be, a new Terrain is expected next year. Federal safety authorities gave the Terrain a four-star overall rating, which included four stars in frontal impact protection and five stars for side-impact protection. 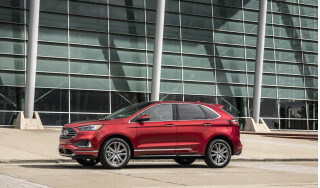 In addition to those scores, the Terrain sports some of the latest safety technology including blind-spot monitors with cross-traffic alerts, lane-departure warning, and forward collision alert. The Terrain also comes with six months of free basic OnStar service, which includes connectivity with the RemoteLink app—it has destination-to-car mapping ability and provides access to status reports on various vehicle functions. GM also now has FamilyLink, an opt-in service that lets parents track a vehicle when underage drivers are behind the wheel. 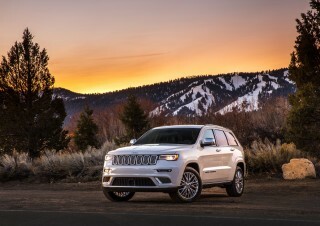 Some of the Terrain's safety is due to the requisite equipment—six airbags, stability control, and anti-lock brakes. GMC also fits a standard rearview camera to the Terrain, which helps overcome its many blind spots—some of which are created by its fixed rear-seat headrests, which can't be removed or folded down to free up more rearward visibility. We'd also recommend adding on the available rear parking sensors. The Terrain is aces in Denali trim; new Nightfall edition follows suit with other GMC vehicles. The 2017 GMC Terrain largely follows suit from 2016. The Terrain comes in SL, SLE-1, SLE-2, SLT, and Denali trim levels. All Terrains come with a respectable set of standard features including a rearview camera, power driver seat, AM/FM/CD/satellite audio system with 7.0-inch touchscreen, USB port for media players, Bluetooth connectivity, and tilt/telescoping multi-function steering wheel. Stepping up to the SLE-2 adds automatic climate control, GMC's IntelliLink with the same 7.0-inch touchscreen, Pioneer eight-speaker audio system with subwoofer, and the available V-6 engine. Climbing the options list will make a better Terrain, but also make it more expensive. The top of the mountain is the Terrain Denali edition (see what we did there?) that adds a power adjustable passenger, softer touch dash cap, wood-trimmed steering wheel, and satin-metallic trim touches all around. Denali is essentially an appearance package in the Terrain, and complements the growing number of GMC packages that can substantially change the appearance. For 2017, GMC added the Nightfall package that includes a blacked out grille, 18-inch blacked out wheels, black front and rear fascias, black luggage rails and you get the picture. GMC IntelliLink is the connectivity kit that mates the Terrain's touchscreen and Bluetooth to most smartphones, enabling voice commands or control of car functions through steering-wheel controls or touch commands. IntelliLink has control of the Terrain's phone and audio systems, and the optional $795 navigation system too. It's not quite as adept with voice commands as some other systems, but it has its own nice touches: IntelliLink will import addresses from phone contacts along with the corresponding telephone numbers, and it can tap that data for navigation. This can streamline the address-entry process considerably. For 2015, GMC added wi-fi capability to all of its vehicles, including the Terrain. Four-cylinder Terrains are relatively frugal, opting for the V-6 has its penalties. The 2017 GMC Terrain manages respectable fuel ratings in 4-cylinder form, but it's V-6 is uncomfortably close to the much larger Acadia now. The most frugal version, a front-drive 2.4-liter inline-4, manages 21 mpg city, 31 highway, 25 combined, according to the EPA. Getting that heavy of an SUV up to more than 30 mpg is no small feat. The Terrain's busy inline-4 uses direct fuel injection and an available "Eco" button that depresses accessory controls to use less power and locks up the torque converter a little earlier. 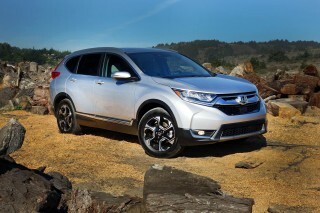 Those fuel-saving techniques keep the crossover among the most frugal in its class. Adding all-wheel drive (AWD) doesn't carry much of a significant penalty either: the EPA rates the 2.4-liter and AWD at 20/28/23 mpg. GMC's optional V-6 is the choice for power and towing, provided you're willing to pay for it. 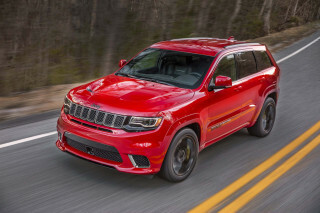 The 3.6-liter makes 301 horsepower and summarily tops out at 17/24/20 mpg, or 16/23/18 mpg with AWD—spitting distance to the much larger, seven-seat Acadia. 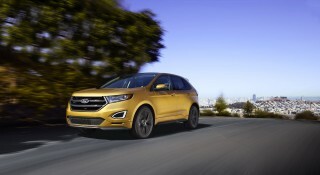 The Terrain's mileage is on par with the thrifty Ford Escape, which manages 25 mpg combined with its 1.6-liter inline-4—provided you stick with the 4-cylinder Terrain. Both the Escape and Terrain require significant attention to achieve those numbers in the real world. Mr Jordan is the best. Awesome experience.. Will definitely be telling every one. 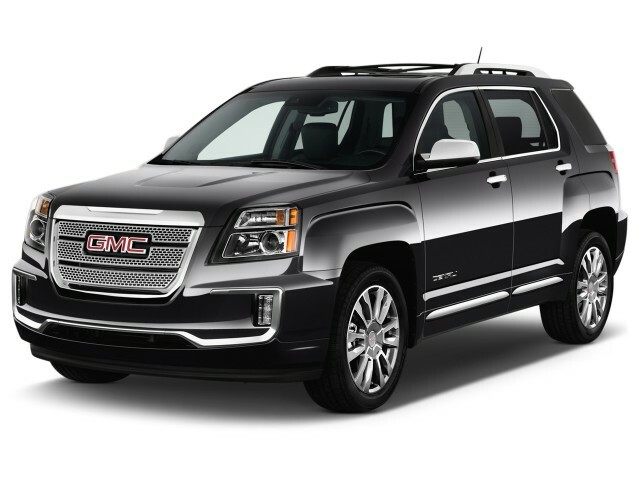 Looking for a different year of the GMC Terrain?